A year ago Microsoft warned the end of mainstream Windows 7 support would occur in January 2015. It set 13th January as the official date for this Windows 7 Service Pack 1 support milestone. The firm discontinued consumer sales of this popular version of the Windows operating system in October 2013, and since October 2014, Windows 7 consumer PCs have not been manufactured. The terminology 'end of mainstream support' has created much confusion on the Web, with some thinking that Windows 7 will be going the way of Windows XP shortly. In reality, by ending mainstream support, it simply means that the Windows 7 OS will no longer receive any new features, enhancements or any design changes from Microsoft. Users will instead be placed within the 'extended support' period during which Microsoft will continue to provide them with any necessary security updates until 14 Jan 2020. During the period of extended support, it is likely that Microsoft will focus on persuading users who have not yet upgraded to Windows 8.X to upgrade to the upcoming Windows 10 instead. With the end of mainstream support, complimentary phone and online support from Microsoft will also be discontinued, though a paid online and phone support option will be available for another five years. Today's deadline does not affect nor has anything to do with the end of sales cut-off date for systems running Windows 7 Professional. 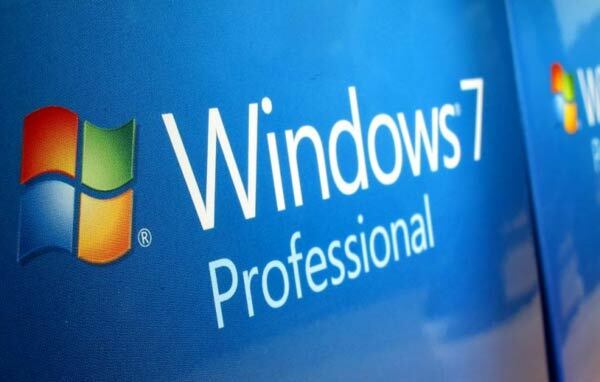 Redmond has yet to officially announce a date for when Windows 7 Pro will no longer be shipped to retailers or manufacturers, and representatives have confirmed that a one year of notice ahead of that deadline will be provided. Downgrade rights from Windows 8.1 Pro to Win 7 Pro will also continue to work as usual. It is worth noting that the Windows 7 OS currently holds over 50 per cent of the worldwide operating system market share, making the system's extended support scheme likely to go beyond January 2020, given its popularity and Microsoft's prior form. Windows 8 and Windows 8.1, on the other hand, will reach the end of their mainstream support in January 2018, and their extended support is set to expire in January 2023. I was a die hard Windows 7 til they prize it from my cold dead hands after trying Windows 8 when it first came out, but I've just started using Windows 8.1 and I'll whisper it quietly…I'm impressed. oops!